Strip mall, I shall praise thee. I shall sing thy songe. cherubim above thy ceiling tyles? there is e’en hope for me. 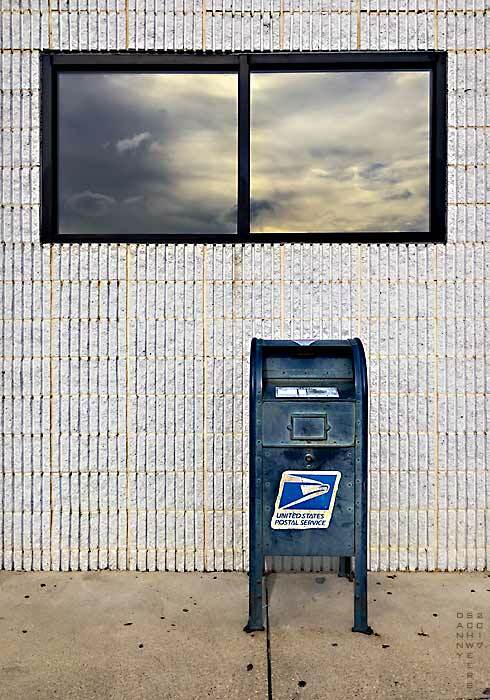 Photo of a strip mall wall and window with an olde mailbox in front. This is stunning. You make the mundane into Art, Danny. Way to go: you’ve made the mundane things sing! I always enjoy your posts and they give me plenty to ponder.